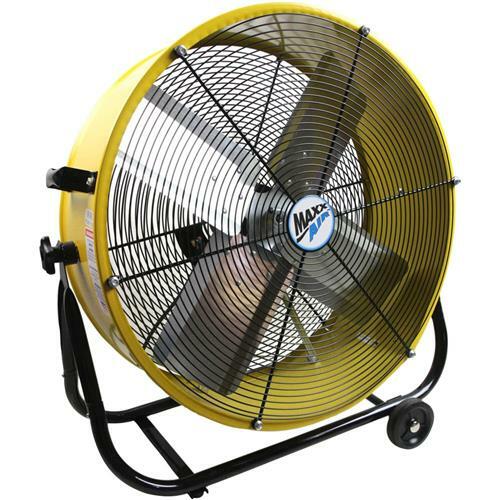 The 24" Tilt fan has non-skid feet, roll around wheels for mobility, and a rugged 22 gauge steel housing for durability as well as OSHA compliant powder coated grilles. The fan is shipped completely assembled, to operate, simply plug into a standard outlet. The fan is shipped completely assembled, to operate simply plug into a standard outlet. The fan works great - the packaging (the box) was beat up on arrival - fan shroud had a dent in it. The fan still works fine though.